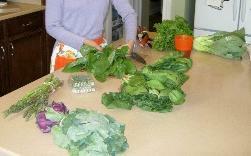 This week Janet shares a story and some thoughts on cooking and making full use of your produce. 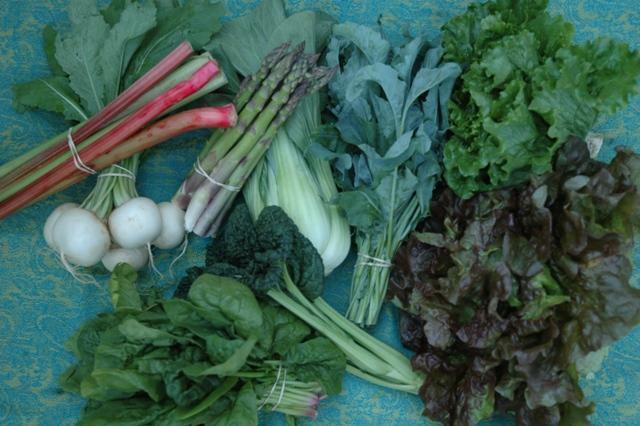 We're one-third of the way into the CSA season--how are you doing with The Bounty In The Box? I’ve heard many times that members are not able to identify some of the vegetables you're receiving in your boxes (a common occurrence, alas! 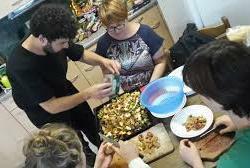 you are not alone) and as a result, some of you have made some very interesting dishes. This has given rise to a thought on how entertaining it would be if you would submit your cooking excursions, experiments, or faux pas to share with other members. I do urge all of you to use the pack list and do a process of elimination to identify the contents in your box, which would probably reduce puzzlement over the strange and unusual things you find in your CSA box. One of our worker shares thought the golden beets were turnips and made a beet gratin--and didn’t realize until she and her husband sat down to eat. It’s always the one who dislikes a certain vegetable who will notice the difference right away. Sure enough, the husband tasted the beets and the gratin was sweet, not savory as expected. Nonetheless, it was eaten and deemed “interesting”. Our newsletter editor, Christi Ehler, is a well- seasoned CSA member, editor, and cook weaving her magic each week to bring you a professionally-crafted newsletter that is such an invaluable resource for our members. 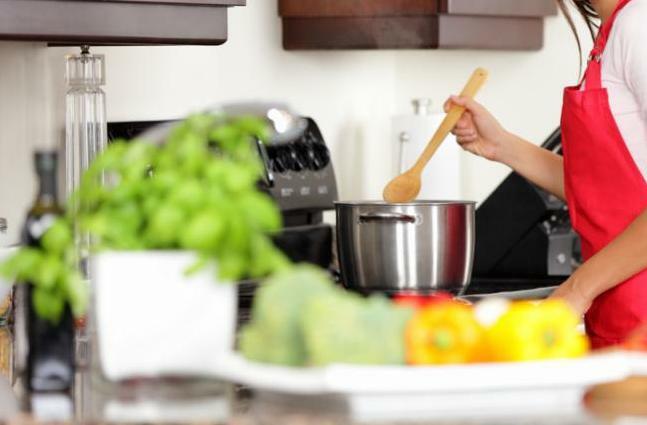 Her discernment for choosing recipes that are not too complicated and that incorporate several vegetables which are in the boxes can only be constructed through experience and knowledge of the foods specific to seasonality and locale. You never know--you may find that a vegetable you thought you didn’t like is now palatable in a recipe you thought you’d never make. I do think managing a CSA box each week is time-consuming and certainly a creative process. Members who have been doing this a long time have found many ways to discipline themselves at prepping ahead on the day the box arrives, leaving time the rest of the week to pull your prepped vegetables from the refrigerator and incorporate into your weekly menu planning. Substituting seasonal vegetables into your own favorites can be another way to expand your repertoire and alter the humdrum of the same dish with a new twist. I’ve also heard some of you preserve the excess by dehydrating or freezing. Two members at the same pick-up location are both dehydrating their excess zucchini and summer squash to add to soups and stews this winter. 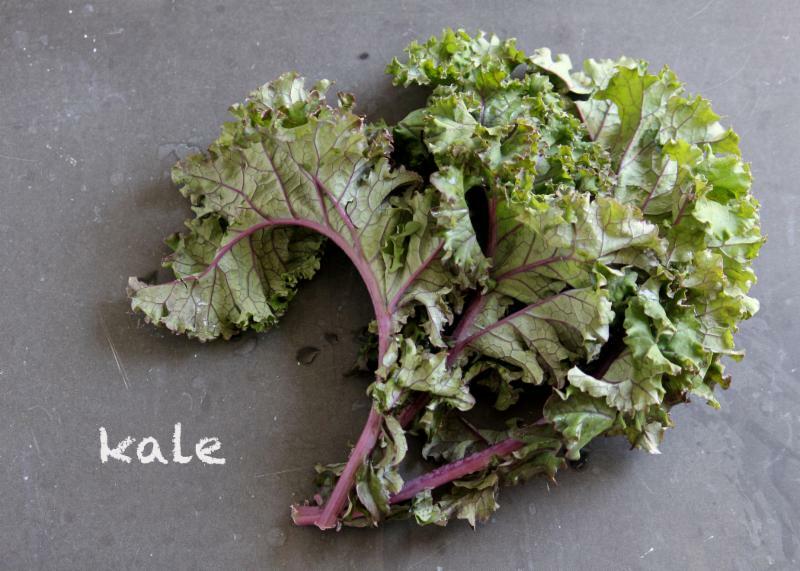 Many vegetables don’t require blanching before freezing, such as herbs. You can just put them in a little freezer bag whole and take them out when ready and add them to your cooking. I’m sure there are creative ways in which many of you use your vegetables each week that we can’t even imagine. Please let us know your tips, slip-ups, concoctions, or amusing stories and we’ll incorporate them into our newsletter. 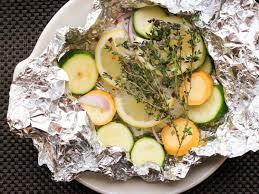 Create your own seafood dinner for grill, campfire, or oven with this recipe for Mix-and-Match Foil-Packet Fish. Choose your seafood, choose your vegetables, and choose your sauce--it's ready to eat in under an hour. Preheat oven to 350 degrees. Meanwhile, bring broth to a boil in a pot with a tight-fitting lid. Add quinoa and return to a boil. Cover, reduce heat to medium and simmer until liquid is absorbed, about 12 minutes. Remove from heat, fluff, cover, and let stand for about 15 minutes. (this step can be done ahead) Place peppers upright in a small casserole dish. Place cooked quinoa in large bowl. Add kale and half the tomato sauce to quinoa and mix well. Fill each pepper with quinoa mixture. Pour remaining tomato sauce evenly over all. Cover casserole dish with lid or aluminum foil. Bake for 25 minutes. Remove cover, sprinkle mozzarella cheese on top of peppers and bake for 10 more minutes. *Note: you can cut the peppers in half lengthwise instead, and divide the filling 4 ways. Toast cumin in a small frying pan over medium-high heat, stirring often, until fragrant, about 2 minutes. Pour from pan into a large bowl. Stir in oil, lemon zest and juice, garlic, salt, and black pepper. Seed peppers and cut into 1" to 1 1/2" pieces. Slice cucumber into 1/4" rounds and cut in half again if large. Add peppers, cucumber, and chickpeas to salad dressing and toss to blend well. Let stand about 1 hour, then stir in parsley. Grate carrots, zucchini, and onions using large holes of box grater; place vegetables on center of large clean kitchen towel. Bring up ends of towel and twist together to form pouch. Holding pouch over sink, squeeze out excess moisture from vegetables. Place vegetables in large bowl. Add eggs, flour, and pepper; mix well. Heat oil in medium nonstick skillet on medium-high heat. 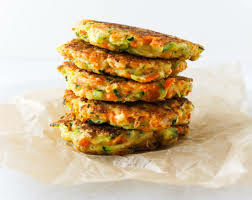 For each latke, carefully add 1 T. of the vegetable mixture to skillet, cooking 2 to 3 latkes at a time. Immediately spread each mound into thin circle with back of spoon. Cook 3 to 4 min. on each side or until golden brown on both sides. Drain on paper towels. Repeat with remaining vegetable mixture. Serve topped with sour cream. Sprinkle with herbs.